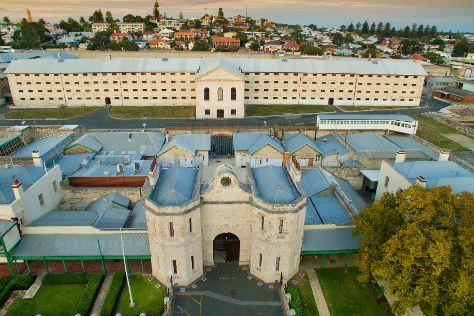 Deepen your sense of the past at sights like Fremantle Prison and St. Mary's Cathedral. Do some cultural sightseeing at The Perth Mint and The Shipwreck Galleries. You'll find plenty of places to visit near Perth: Caversham Wildlife Park (in Whiteman), Fremantle (Western Australian Maritime Museum, Fremantle Markets, & more) and Mandurah (Dolphin & Whale Watching, Waterskiing & Jetskiing, & more). Make the 16th (Tue) an awe-inspiring day at Lane Pool Reserve. Spend the 26th (Fri) exploring nature at John Forrest National Park. Next up on the itinerary: contemplate the waterfront views at Swan River, stroll through Cottesloe Beach, look for all kinds of wild species at Matilda Bay Reserve, and enjoy the sand and surf at Scarborough Beach. To see photos, where to stay, traveler tips, and more tourist information, go to the Perth travel itinerary planner. In April, daytime highs in Perth are 31°C, while nighttime lows are 15°C. Finish up your sightseeing early on the 27th (Sat) so you can travel back home.